2 peeled carrots—1 cut crosswise in 1 inch pieces; the other shaved with a peeler. Place all the ingredients in a medium sized pan. 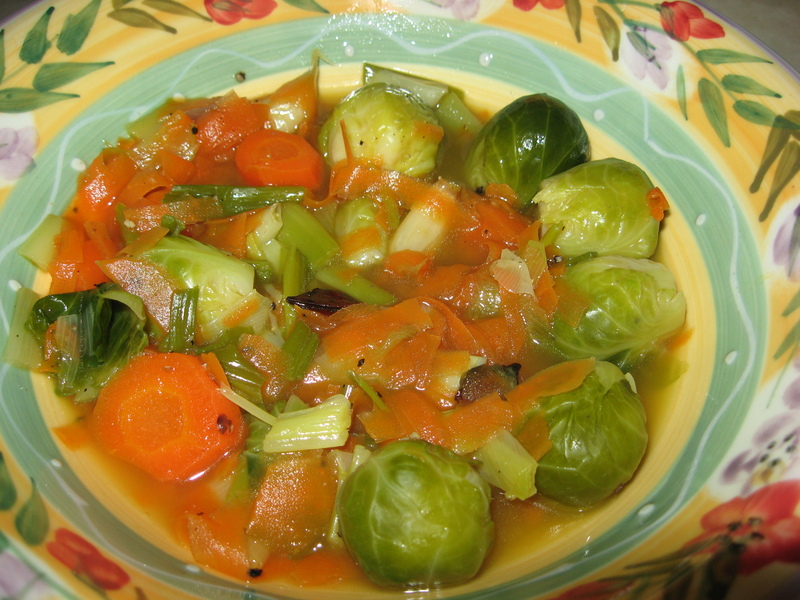 Bring the bouillon to a boil; lower the heat to an active simmer (medium low) and cook till carrots and sprouts are tender (about 10 minutes). Remove whole cloves and anise florets before eating.